CAPTION: Ventura, California’s, Jake Kelley debuted in dominant fashion with a 16.50 heat total in Round 2 Heat 2. 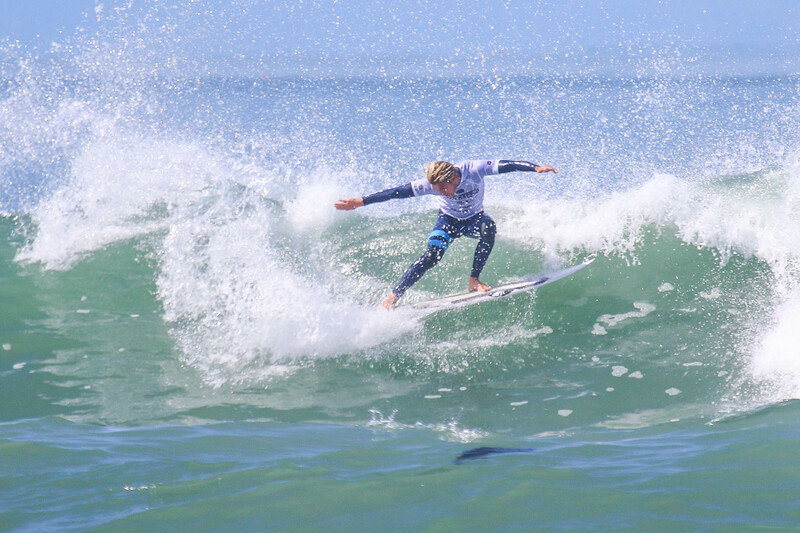 HUNTINGTON BEACH, California/USA (Friday, March 22, 2019) – Opening day of the World Surf League (WSL) men’s Qualifying Series (QS) Jack’s Surfboards Pro QS 1,500 fired into action with Huntington Beach delivering clean, four-to-six foot swell for Round 1 and Round 2 Heats 1 – 8. Competitors wasted no opportunities and put on a showcase in their event debuts as they head into the weekend’s competition where top seeds await. Caption: A stepping stone for Davi Toledo’s competitive career was finally realized today. Davi Toledo (BRA) found his competitive form for the first time among the QS contingent after earning a 7.17 (out of a possible 10) in Round 1 Heat 9. Younger brother to World No. 3 Filipe Toledo (BRA), Davi is just getting his career started and showed his forehand attack on the clean walls of Huntington Beach. The 19-year-old hones his talent at the world-class wave of Trestles and around San Clemente, California’s, various beachbreaks to create a well-rounded approach. Caption: Dane Mackie’s forehand got him started, but it was his backhand that had all the magic. The competition began to hit another level when Barbados’ Dane Mackie put on a dominant display of his backhand to earn an excellent, meaning an 8.00 or higher, 8.50 which moved him from third-place to winning his Round 2 debut. The 21-year-old has his own world-class, righthand wave of Soup Bowl to sharpen that backhand into a tool when needed most. But the event is long from done for Mackie and the Barbadian has plenty left in the tank. Ventura, California’s, Jake Kelley built a foundation in his heat to take control in Round 2 Heat 2 with a near-perfect 9.00 and immaculate 16.50 (out of a possible 20) heat total. Kelley’s performance last weekend in Cocoa Beach, Florida, garnered him a Quarterfinal result and the 23-year-old carried that momentum directly into pumping surf at Huntington Beach Pier’s southside. Fellow Central Coast native Austin Neumann (Pismo Beach, Calif.) executed a brilliant air in the final heat of opening day action to garner an 8.83 and put himself into Round 3. Other notable wins included Huntington Beach’s own Derek Peters, Brazilians Matheus Navarro (recent winner in Cocoa Beach, Florida) and Namor Cayres, and Encinitas, California, native Nick Marshall. 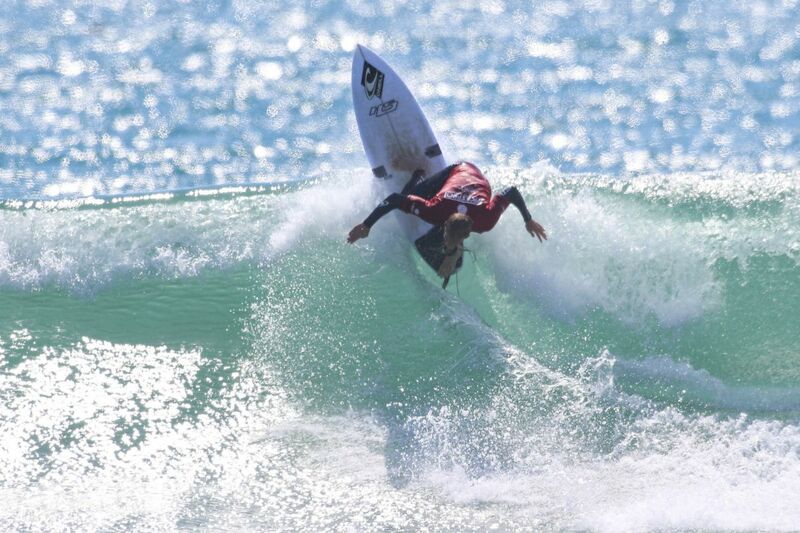 For press accreditation, please contact anichols@worldsurfleague.com. The Jack’s Surfboards Pro 1,500 will run March 22 – 24. About the WSL The World Surf League (WSL) is dedicated to celebrating the world’s best surfing on the world’s best waves through a variety of best-in-class audience platforms. The organization, headquartered in Santa Monica, is a global sport with regional offices in Australasia, Africa, North America, South America, Hawaii, Japan and Europe. The WSL has been championing the world’s best surfing since 1976, annually running more than 180 global events across the Men’s and Women’s Championship Tours, the Big Wave Tour, Qualifying Series, Junior and Longboard Championships, as well as the WSL Big Wave Awards. The League possesses a deep appreciation for the sport’s rich heritage while promoting progression, innovation and performance at the highest levels, and in doing so crowns the undisputed Men’s and Women’s World Champions across all tours. Showcasing the world’s best surfing on its digital platform at WorldSurfLeague.com, the WSL has a passionate global fan base with millions tuning in to see world-class athletes like Kelly Slater, Stephanie Gilmore, Tyler Wright, John Florence, Lakey Peterson, Paige Alms, Kai Lenny, Steven Sawyer, Soleil Errico, Carissa Moore, Gabriel Medina, Courtney Conlogue and more battle on the most dynamic field of play of any global sport. For more information, please visit worldsurfleague.com.